Greens have also identified a further £3.5m that could be used to expand the city’s council housing supply, and are pushing the council make use of the additional budget to ensure that tenants are offered genuinely affordable social and living rents. “The Labour Council has money at its disposal through borrowing – yet these vast sums are still unspent. Our plan will boost the housing budget so that we can do more to tackle homelessness. If other parties agree to our calls, we would boost the council’s housing budget considerably. Instead of watching the costs of purchasing emergency accommodation from private landlords increase year on year, we could provide much needed long term affordable homes and emergency accommodation for the homeless. 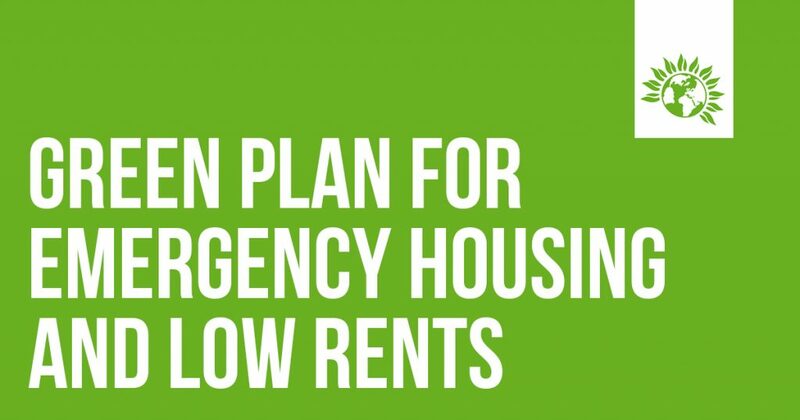 “Over a year ago all parties supported a Green group proposal calling for emergency accommodation services to be brought back ‘in house’ in order to save money and improve conditions – so I am hopeful they will support taking this forwards. Overall we will reverse the proposed cut to this year’s housing programme, hardly a big ask when we have the money and a housing crisis which cries out for urgent action. We could also create a budget so we can start to offer new council homes – at genuinely affordable social or living rents. Green amendments to the Housing Revenue Account budget will be put to a vote at a meeting of Policy, Resources and Growth Committee, Thursday 14thFebruary.